RESEARCH: Caryn Y. Hollingsworth discussed this type in 1991 and Steve B. Wimberly also discussed it in 1960. 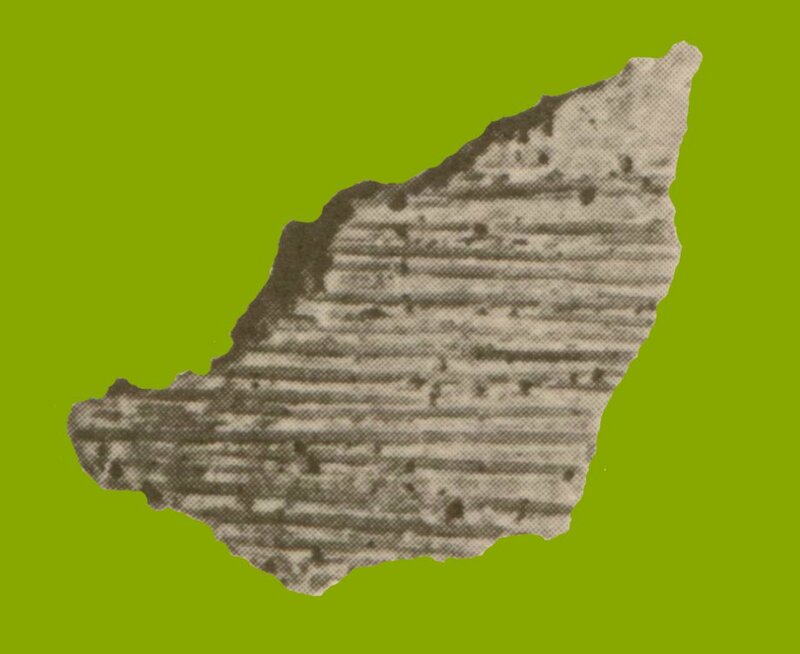 [i] Wimberly noted the presence of two sherds of this type at the James Village site in southwestern Alabama as trade ware, but is considered a ceramic type of the Tennessee River Valley Region of Alabama where Hollingsworth recovered 69 sherds at the Sheeps Bluff Shelter site. TEMPER: Crushed limestone was used as temper and fragments are abundant and well preserved in the paste. The paste color is dark gray and the surface is buff with gray fire clouding. SURFACE DECORATION: The exterior of the vessel is brushed as with a bundle of twigs. VESSEL FORMS: Vessel form: Large to medium vessels. CHRONOLOGY: Hollingsworth suggested a Middle Woodland to late Early Mississippian chronological position in the Tennessee River Valley. GEOGRAPHIC DISTRIBUTION: This is defined as a pottery type of the Tennessee River Valley Region of Alabama. Its appearance in southwestern Alabama is probably the result of trade. 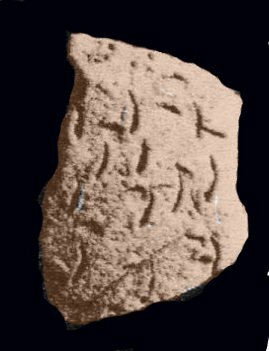 RESEARCH: This type was first recorded by Philip Philips, James Ford and James Griffin in 1951 and discussed from southeastern Alabama by Steve B. Wimberly in 1960. 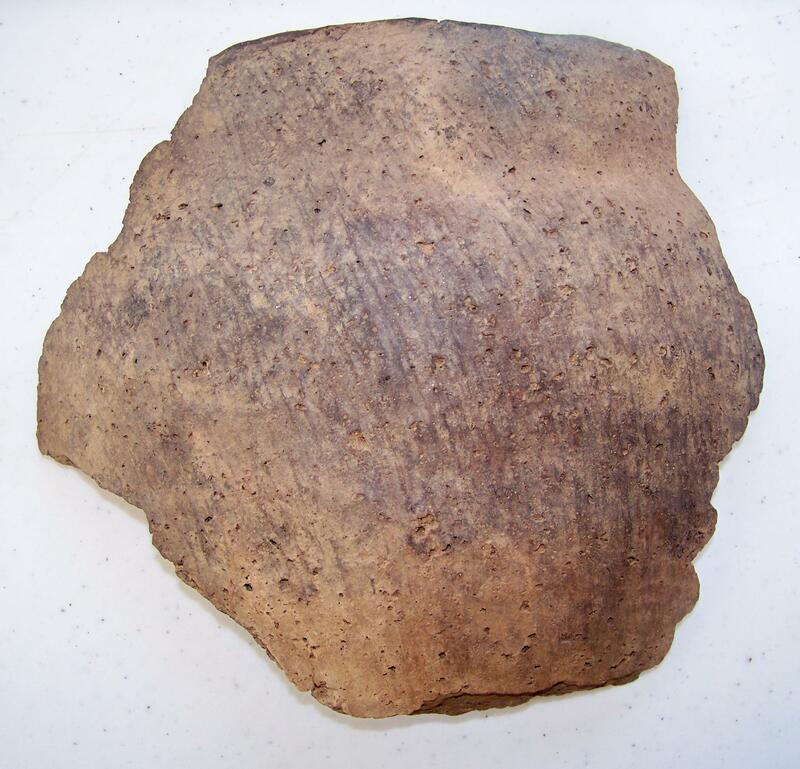 [i] Wimberly recovered two rim sherds of this type from the McVay Village site Clarke County, Alabama. TEMPER: This type is tempered with lumps of clay and medium to fine sand. SURFACE DECORATION: This type is very similar to Dunlap Fabric Impressed pottery with straight rows of woven fabric lines. Stamping is often obliterated or smoothed over after stamping. VESSEL FORMS: Vessel forms indicated by the limited number of sherds indicate jars with out-slanting rims and rounded or flattened lips. Philips, Ford and Griffin included simple and curve-sided bowls and beakers to the list of vessel forms. Examples from Mississippi have vertical, unmodified rims, but some rim folds are known. Lips are rounded or slightly flattened or thinned and pointed and may be nicked or notched. CHRONOLOGY: This type is generally considered to be Early Woodland in its normal Mississippi and Arkansas context, but its recovery at the McVey Village site might suggest that in Alabama it belongs to the Middle Woodland period. GEOGRAPHIC DISTRIBUTION: This type is generally known from Louisiana, Mississippi, eastern Arkansas, southeastern Missouri and southwestern Alabama. TEMPER: This is coiled pottery with coarse shell-tempering that varies widely in size. This type displays the same lamination and poor wedging characteristics typical with shell tempering. Swirling and contortion are also present. Exterior paste and core colors run toward extreme gray, buff and red colors with red surfaces having a gray core color. Both surfaces are smoothed with an occasional moderate polish with roughness caused by leaching. SURFACE DECORATION: Decoration consists of small conical or hemispherical notes placed in rows in groups or over the entire surface. The nodes average 10mm in diameter and 5mm in height. Nodes may be luted onto the surface as a conical mound or flattened onto the surface in the shape of a small, thin pancake. Nodes may be combined with incising or punctation as decoration. VESSEL FORM: Vessel forms include bowls and jars with plain rims and, on rare occasion, strap handles were added. 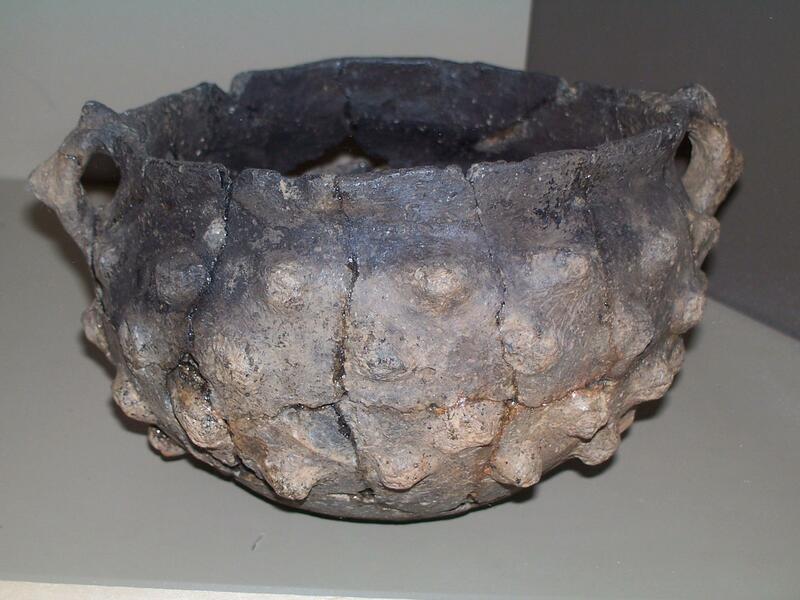 Mark Williams of the University of Georgia has suggested that these vessels may have been nodded for the purpose of transporting hot coals for fire building. CHRONOLOGY: This vessel type was used during the Mississippian period and is not related to any other known vessel type. These vessels are very different than those recovered by C.B. Moore from sites on Gilchrist and Tick Islands along the Tennessee River in Alabama. 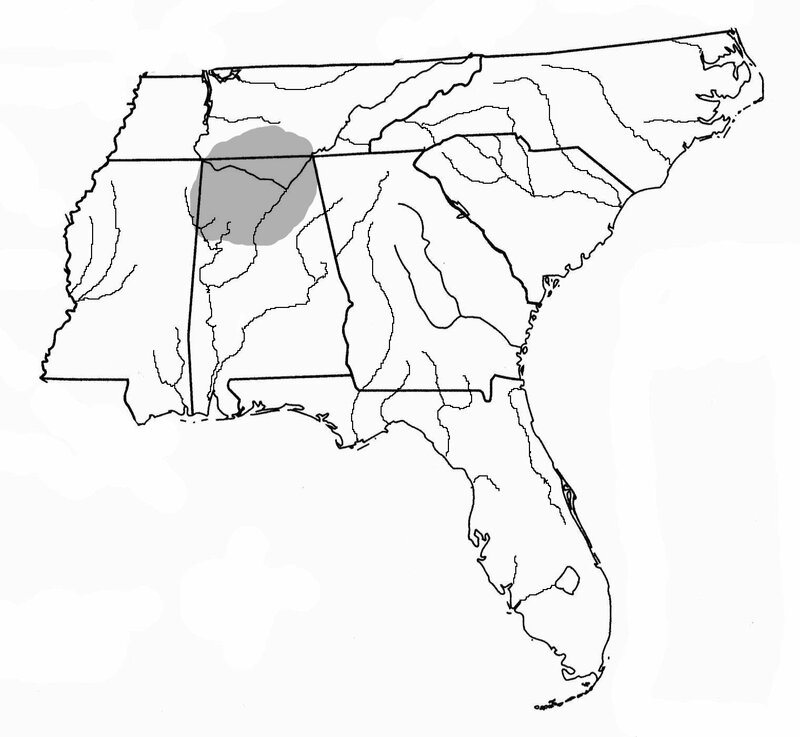 GEOGRAPHIC DISTRIBUTION: Vessels of this type are known from northwestern Mississippi, but have also been recovered at the Ocmulgee Mound complex in Macon, Georgia in the same Mississippian period context. 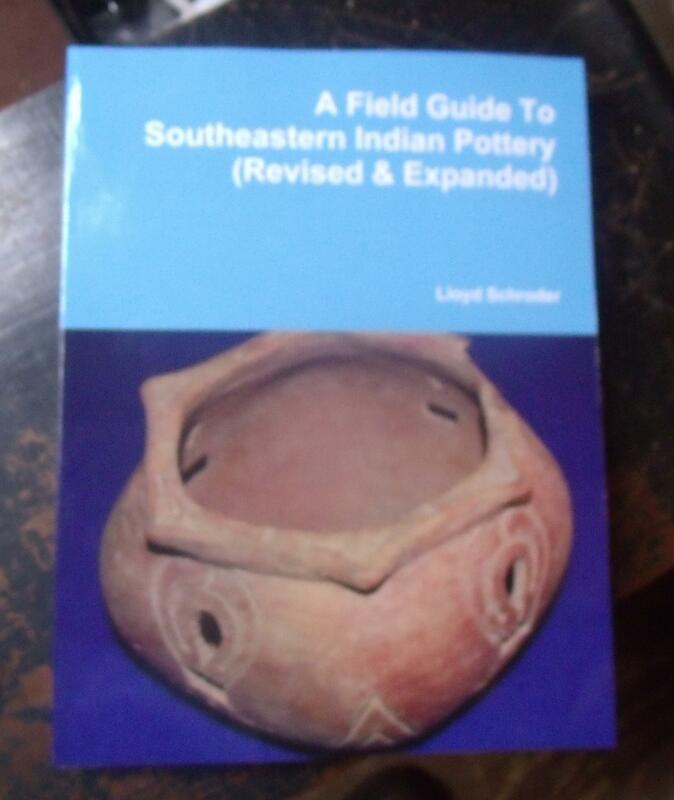 RESEARCH: Alexander ceramics were first recognized in the middle Tennessee valley of northern Alabama in the Wheeler Reservoir area by John Griffin and William G. Hagg in 1939. Hollingsworth’s research in 1991 was at the Sheep’s Bluff Shelter, Franklin Co, Alabama. Examples were also found by Steve Wimberly at the McVay Village site in Clarke County, Alabama. TEMPER: This is a sand tempered type. 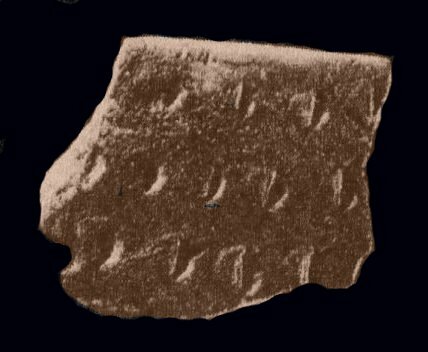 SURFACE DECORATION: The Alexander Pinched designation has been applied to all fingernail decorated pottery in the Alexander series. Decoration varies from rows of pinching with finger and thumb, rows of fingernail punctations with or without a ridge of clay pushed up on one side (the most common), or randomly placed fingernail punctations. 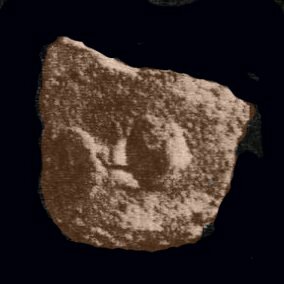 VESSEL FORM: Sherds of Alexander pottery at the McVey Village site indicate medium-sized deep bowl or open-mouthed jars. Appendages appear from otherwise rounded simple lips. RESEARCH: This type was originally defined in the Wheeler Basin on the Tennessee River in north-central Alabama based upon WPA excavations there in the 1930s. [i] The surveys taken by the WPA and TVA were done in the Pickwick, Wheeler and Guntersville basins. TEMPER: Plant fibers were used in this type as temper, but may also have clay or limestone in addition to, or instead of the fiber. 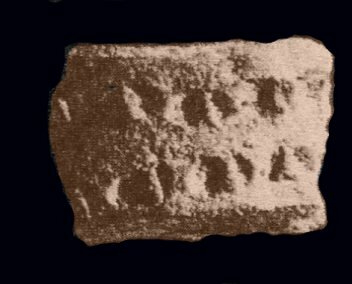 SURFACE DECORATION: Decoration on this type is simple stamping, presumably much like other simple stamped pottery of this period (see Norwood Simple Stamped and Stallings Simple Stamped types). 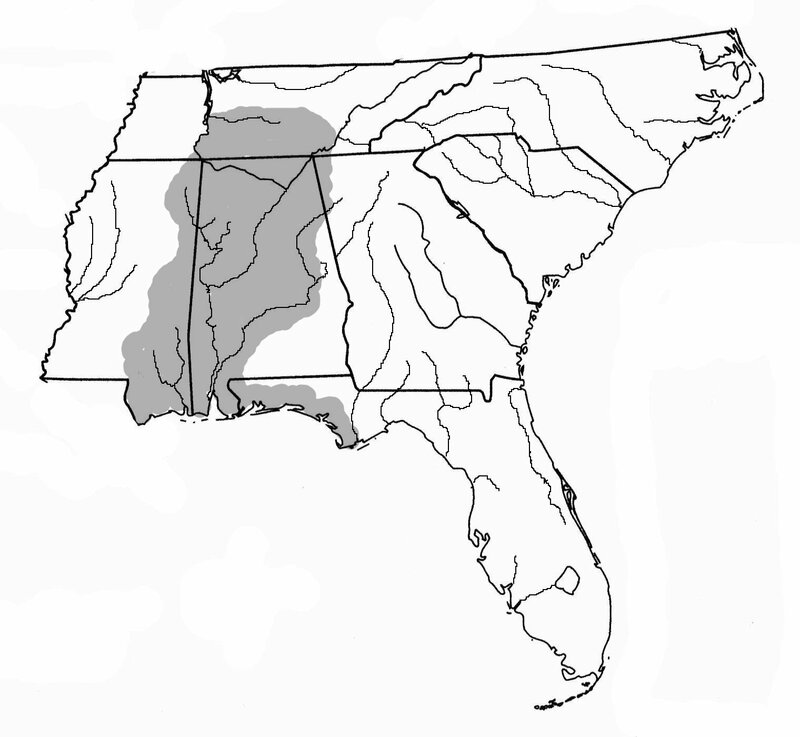 GEOGRAPHIC DISTRIBUTION: Tesar’s estimation of Wheeler distribution include western and northwestern Georgia all of Alabama except southwestern Alabama, eastern Tennessee and western North Carolina.